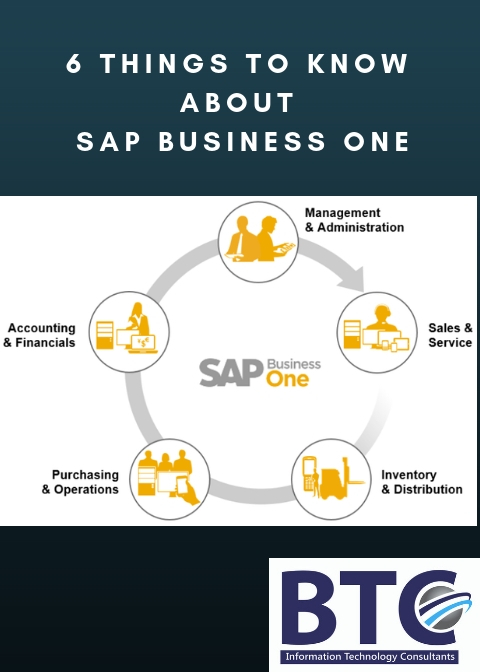 To ensure that customers get the most out of their investment in SAP Business One, BTC offers an affordable, integrated enterprise resource planning (ERP) solution designed to enable growing small to mid-sized enterprises (SMEs) and large enterprises with subsidiary operations to better manage their entire company. Here are 6 features in SAP Business One, that although simple but are quite effective in improving efficiency in your day-to-day use of the solution. This feature sends messages to other SAP Business One users within your organization – much like an instant messenger application. You’ll find it in the tool bar. When prompted you will see a list of users that you can type a message to. You can share some documents using the Share Data button. It’s a secure method to share information within SAP Business One. Beyond the shortcuts that the SAP Business One consultants have set up for your business when your system was first configured, some users may not know that you can add your own shortcuts as well. To create hotkeys to conveniently access important functions, you can go to ‘Tools’ then go to ‘My Shortcuts’ to see a list of options. You can also just press the F2 key to access. Select ‘Customize’ from the ‘My Shortcuts’ to add a shortcut. You can set the functions, from F1 to F12, to prompt an action – such as a Sales A/R, or Sales Order. Once you click ok, you’ll be able to immediately use the shortcuts. This is very efficient if you use a function in SAP Business One with any degree of frequency – reducing the number of clicks. From the modules, tab goes to the ‘Business Partner Modules’ and then to the ‘Business Partner Master Data’ and then it’s on the ‘Accounting’ tab. Sometimes, when you have a business partner that is both a partner and a business vendor you’ll notice that you can link the records using the connected vendor field. This is beneficial if you are looking at a ‘Customer Receivables Aging’ report because you can select ‘Consider Connected Vendors’ check box from the selection criteria so that you can see AP invoices for which there are debits. So, the real balance of those two things is reflected and added together. It’s also helpful when you do reconciliations, you can pull together two of the customer accounts against one another. Another update SAP has made is to the drawers of accounts. Under ‘Financials’ in the module menu, and ‘Chart of Accounts’ you’ll see that you can now rename the drawers, which at one point were fixed and couldn’t be customized to how your business model requires. Click on ‘Assets’ in the list and you can enter a name and the name of the drawer will change in real-time. This feature enables users to move line items around in quotations and bills of Material (BOM). For BOM it’s nice to be able to structure the list in the order that things need to be assembled/placed/timed/moved onto the shop floor. To access the feature, open a sales quotation and then you can see a few line items. Very simply you can use the arrows on the right side of the item list to move an item above another, altering how the list was initially created. Once you click ‘Ok’, SAP Business One will save the list in the new order. Similarly, in the ‘Production’ list, under a ‘BOM’ you can highlight items using the arrow keys. To learn more about these great features in SAP Business One contact our experts. How To Implement SAP Business One In UAE?